Shabnam and Joseph are some of the most intelligent, compassionate people that I have met in recent memory so I wanted to do something special for their session. They recently moved to Denver for medical residency and hadn’t had a chance to check out much of Colorado so they suggested that I choose a location. 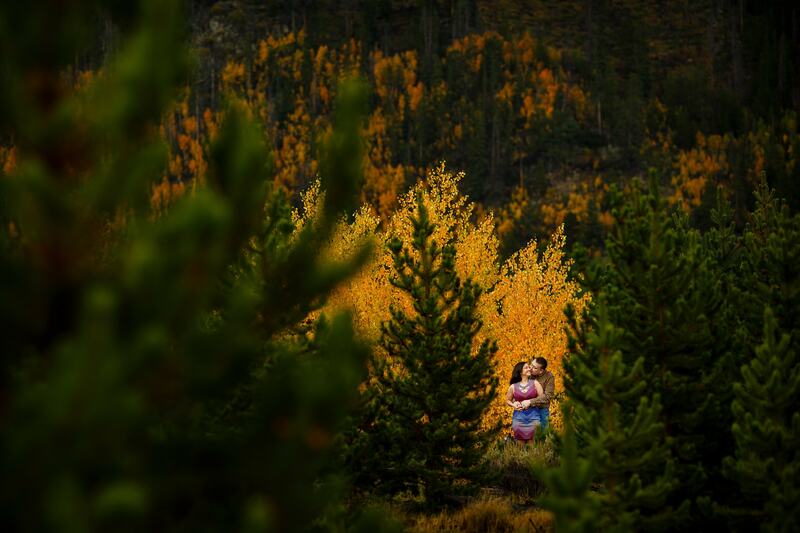 Since they hadn’t been to the mountains before and the leaves were changing I suggested we drive west to shoot their Breckenridge fall colors engagement photos. 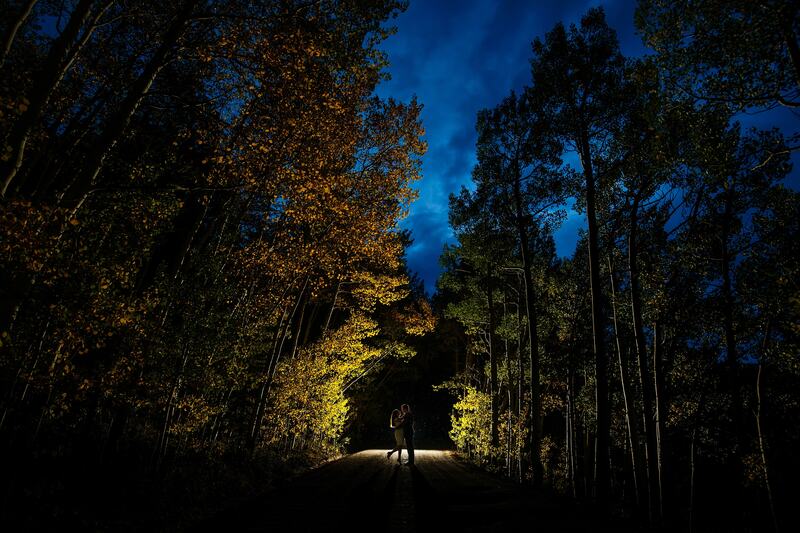 Boreas Pass is one of my favorite places to shoot so I knew we would end up there but with the weather being unpredictable we started at Gold Hill Trailhead just outside of town. My girlfriend Amy joined me to help hold umbrellas, coats and a light from time to time. 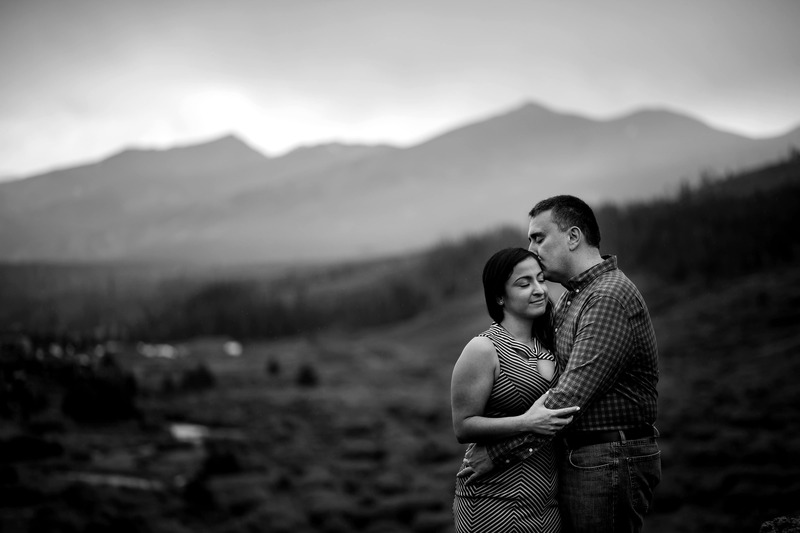 Thankfully the rain only lasted for ten minutes before we were able to take advantage of the soft, overcast light. 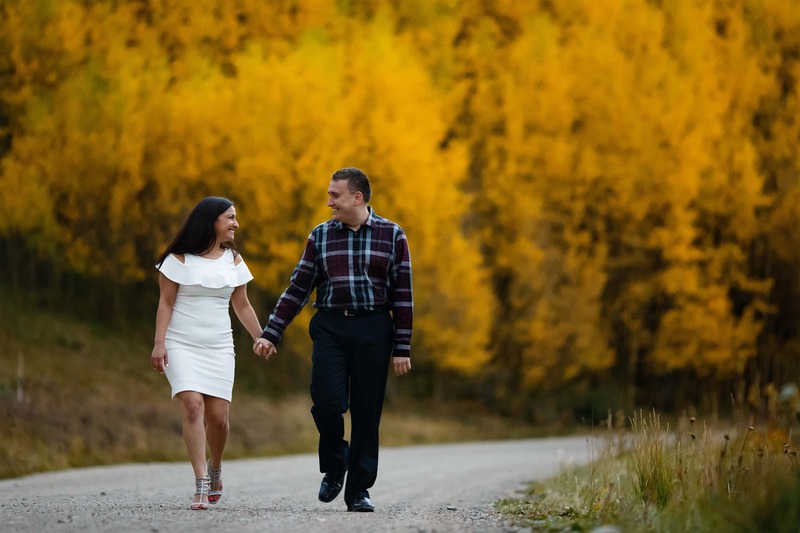 The aspen trees were bursting with orange and yellow hues and Shabnam and Joseph were full of energy beyond measure. After a quick outfit change we drove into downtown Breckenridge to capture some of the adorable feel that the town has to offer. 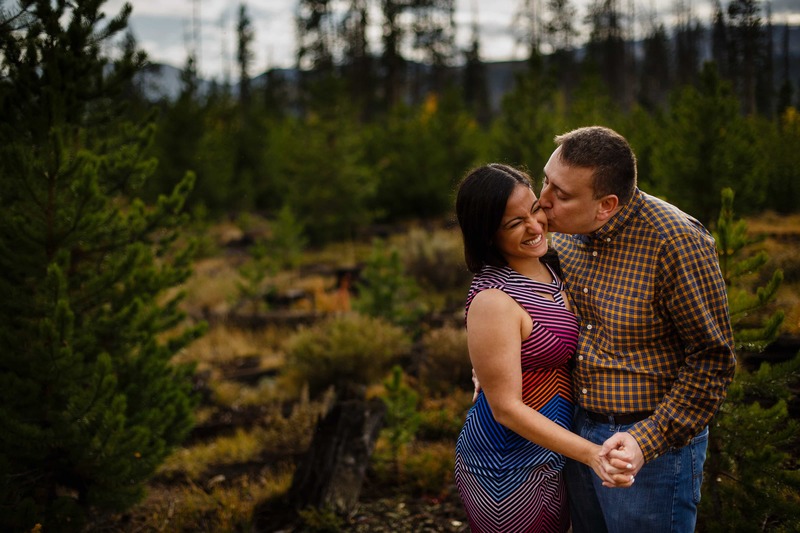 Our timing was perfect as we just missed the chaos that was the Breckenridge Oktoberfest and strolled around town looking for great backdrops. 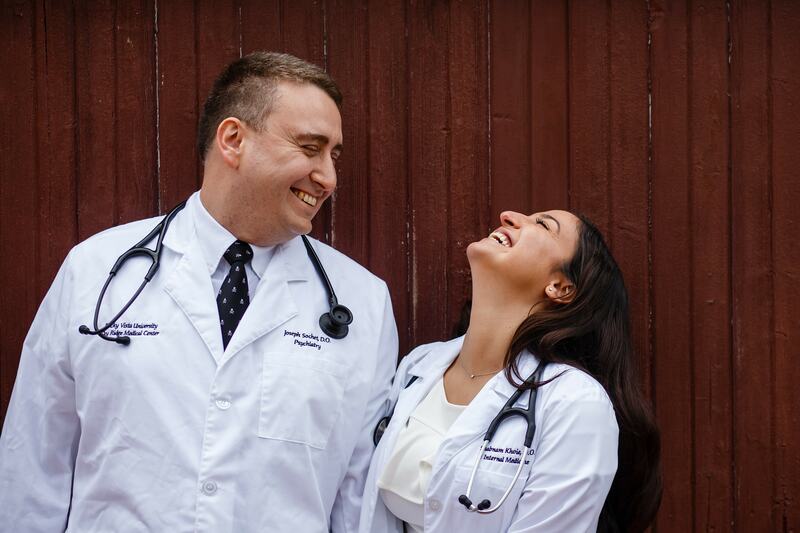 I mentioned before that they’re both doctors and they actually met over a dead body as lab partners so it was important for them to have a few photos in their lab coats since it’s a huge part of their lives. We finally made the drive up Boreas Pass just after 6pm and they didn’t hesitate when I asked them to climb a large rock face off the side of the road. 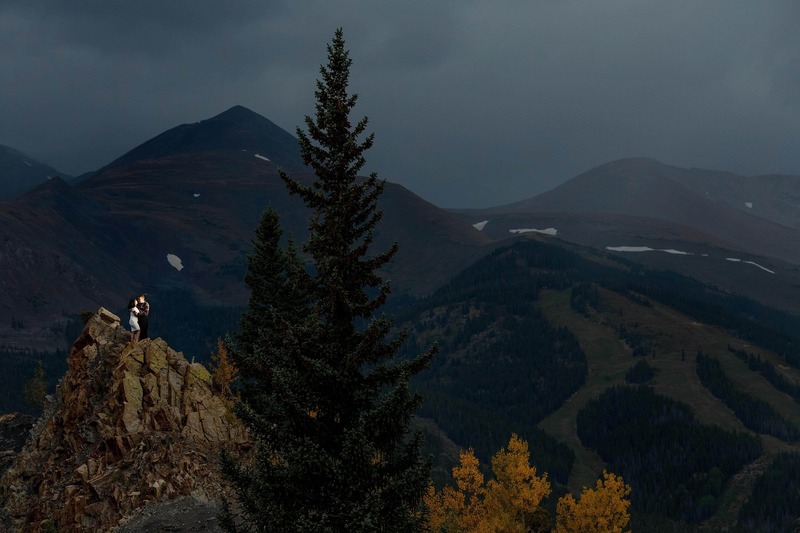 I’m sure their friends in Florida are going to be in shock over what the Rocky Mountains and Breckenridge fall colors provide. We finished the evening with well earned pizza, beers and some funny stories at my favorite Breckenridge Pizza joint before we dropped them off at their car. I can’t wait to get back to Garden of the Gods Club for their wedding. 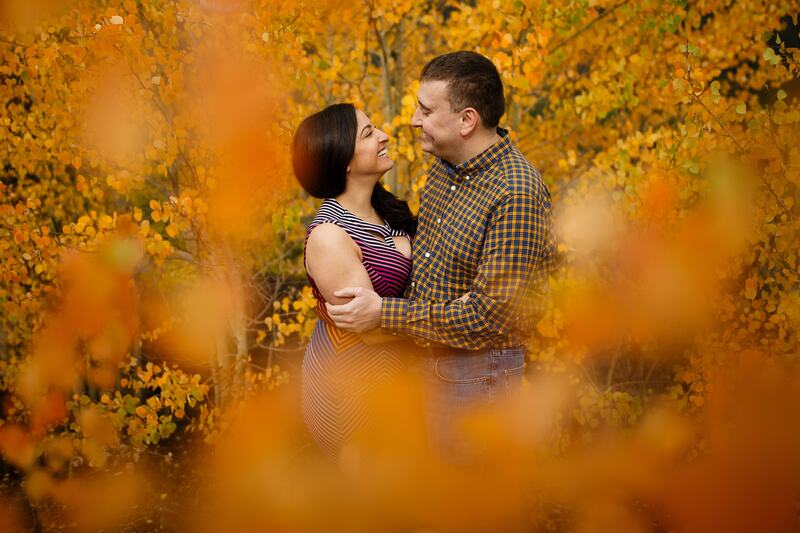 Thank you both for allowing me to shoot your Breckenridge fall colors engagement photos.